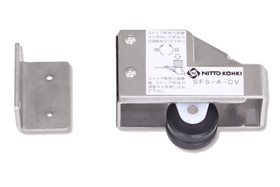 Accessories for Sliding Door Closers - Kenwa Trading Corporation, a specialist in door hardware and various door closing solutions. 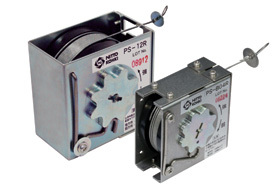 These items give additional features and replaceability to the NSC/DSC series and can be purchased separately. Free Stop Option Device for Sliding Door Closer. Stop the door at any desired position. 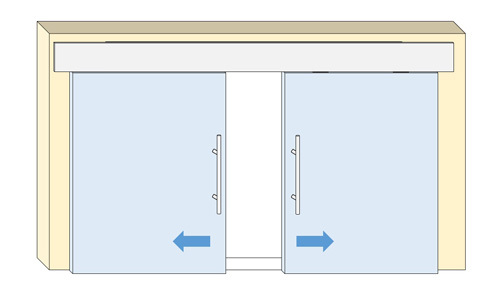 To release, lightly pull the door so it will automatically close. 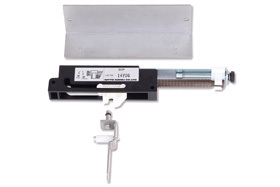 Delayed Option Device for Sliding Door Closer. 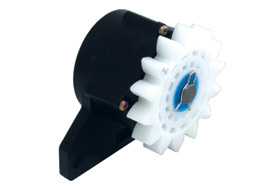 Holds the door at full open position for desired time period (0-15sec) and releases automatically. Holding time is adjustable between 0-15sec. Close Assist Option Device for Sliding Door Closer. Catches and latches the door firmly at the last 1” to full close position, preventing door bounce. Pulling force is adjustable between 5N-10N. 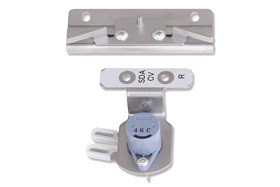 Air-Cylinder Damper Option Device for Sliding Door. Alternative of standard control device (rotary gear damper). 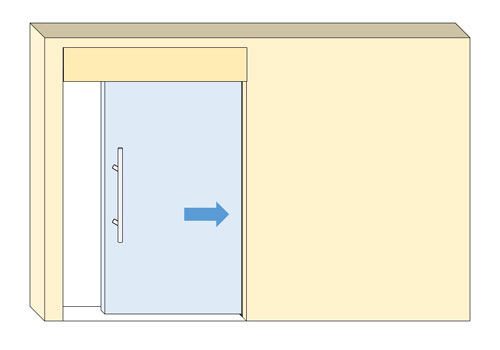 Self-Closing Device for Sliding Door. Smoothly closes the sliding door utilizing advanced spiral spring technology. No electric power source required. Damper Device for Sliding Door. 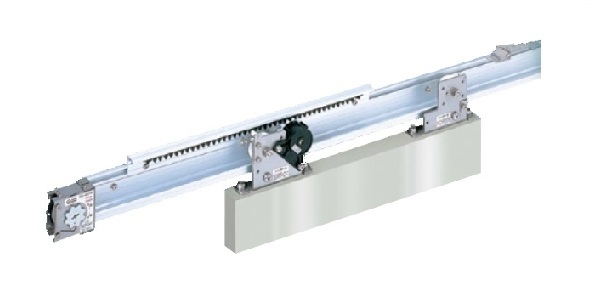 Softly closes the sliding door utilizing advanced rotary gear technology. Opening one side of doors will also open the other door. Easy access to major components even after installing in to the pocket door.